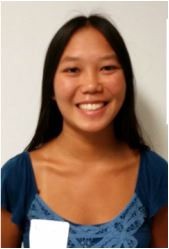 Renee is a sophomore majoring in Materials Engineering at UCLA. She is a member of the Society of Women Engineers (SWE). She wants to work in the Aerospace Industry, because she was part of the UCLA team that designed and built the ELFIN satellite to conduct research into space weather. NASA has guaranteed a launch spot in 2016.The Electron Losses and Fields Investigation (ELFIN) will explore the mechanisms responsible for the loss of relativistic electrons from the radiation belts. The reason why she wants to become an engineer is that University of Santa Barbara had a nano research lab that she got involved with. Her favorite classes in high school were AP Chemistry, AP Physics and AP Calculus.